A man steps out of a jeep somewhere near Pretoria, South Africa. He calls out a name and within seconds two large female lions trot towards him and throw their full weight against his body. The animals use their front legs to hug him as he plays with them and laughs happily. The man is Kevin Richardson and he is a South African animal behaviorist who is passionate about lions. A few minutes later he lies in the dry grass and scratches a male’s chin. The animal is pleased by this and purrs like a kitty cat. All his affection is not limited to lions either. Kevin Richardson also sits and scratches a hyena’s neck and the animal loves it. For Richardson it all started as a child flipping through the pictures in his storybooks, and falling in love with all the animals that could be found in Africa. It comes as no surprise that he grew up and went on to research and live among this beloved species. But Africa is not what most people believe that it is, many animals have lost their habitat and are now kept in sanctuaries where there really isn’t enough space for them to be free. 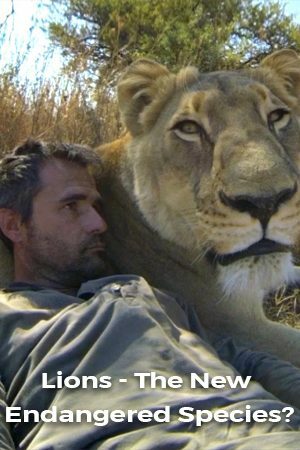 Kevin Richardson is known as ‘The Lion Whisperer’ because of the unique relationship he has with the large felines. He says he can’t pinpoint exactly what he likes most about them because no two lions are the same—they each have their own personalities. Unlike lions, hyenas do have a strict hierarchy. The lowest ranking female ranks higher than the highest-ranking male. They are completely misjudged to be smelly and disorganized and that is absolutely not true. The number of lions that can still be found is dwindling down. Kevin Richardson is trying to raise awareness by changing the way people see these majestic animals. He wants people to see him interacting with them and to start thinking what would Africa be without lions? His goal is for the world to fall in love with these iconic creatures and figure out ways to give back and restore their habitat. Watch this film now. Borneo is the third largest island in the world and it contains the oldest rainforest on earth. It’s home to many species that can’t be found anywhere else.